Eighty years after her disappearance, the world continues to be fascinated with Amelia Earhart. The first time Ric Gillespie saw Nikumaroro Island nearly three decades ago, it was a sliver of fluorescent green tauntingly perched at the edge of the radar of the retired fishing vessel he had been aboard for five days. Accompanied by a team of 20 archeologists, scientists, scuba divers, navigators and photographers, Gillespie had just traveled over 5,000 miles by air and 1,000 miles by sea to reach an uninhabited, profusely vegetated atoll in the Pacific Ocean north of New Guinea. Standing at the front of the timeworn ship, Gillespie squinted through a haze of salty air to see a dark line reveal itself on the horizon. The team members raced to the highest points of the vessel, eager to glimpse the island where they would spend the next three weeks. As a bleached line of surf began to contrast with the growing line of land, the engine of the Norwich City, a 397-foot British cargo vessel that wrecked on the island’s reef in 1929, came into sight. Gillespie knew he had the right place. Since that first voyage in 1989, Gillespie, founder and executive director of The International Group for Historic Aircraft Recovery (TIGHAR), has returned to Nikumaroro 10 times. His goal is to prove that famed aviator Amelia Earhart lived as a castaway on Nikumaroro Island – then known as Gardner Island – after her failed attempt in 1937 to become the first woman to circumnavigate the globe. TIGHAR’s thesis is just one of countless Earhart theories that have been researched, believed, disputed — and never proved. 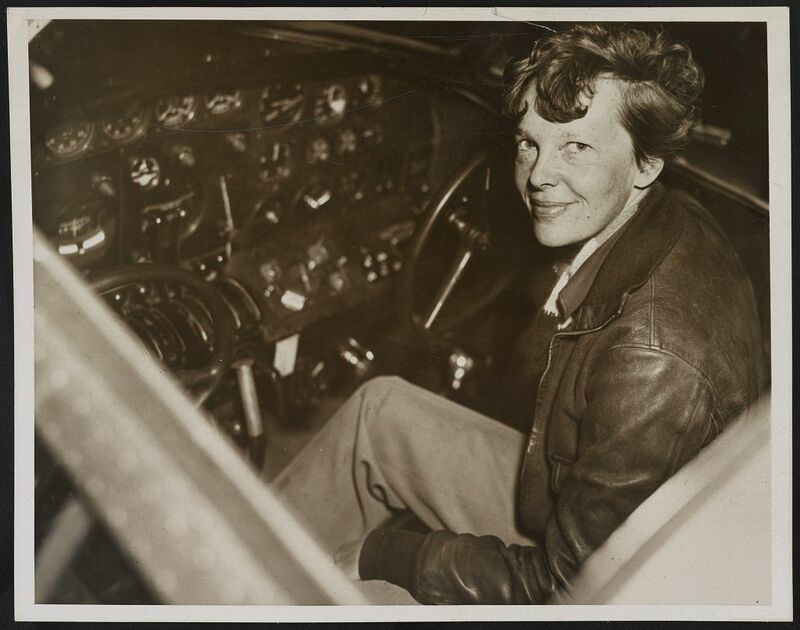 The most recent was “Amelia Earhart: The Lost Evidence,” a documentary broadcast by the History Channel in July. The centerpiece of that documentary was a photograph, which was supposed to have been newly discovered, showing people who vaguely resembled Earhart and her navigator Fred Noonan standing on a dock in Jaluit Atoll in the Marshall Islands. The documentary’s opening said the photo would “rewrite history.” Only days later, the theory collapsed when a Japanese blogger discovered the same photo had been published in a Japanese travel journal two years before Earhart’s disappearance. The pioneering female flier and the mystery surrounding her final flight have inspired movies, such as “Amelia” (2009), starring Hilary Swank, and “Amelia Earhart: The Final Flight” (1994), starring Diane Keaton. There have been books, such as “The Search for Amelia Earhart” (1966) by Fred Goerner and “Amelia Earhart: The Mystery Solved” (2001) by Elgen Long. In a 1995 episode of “Star Trek: Voyager” Earhart was even found frozen on a distant planet. Since the morning of June 1, 1937, when her aluminum, twin-engine Lockheed Electra, with extra fuel tanks, faded into the orange and yellow hues of the rising sun as it took off from what was then Miami Municipal Airport in Opa-locka, Florida, Earhart has been the center of fascination. Earhart and Noonan reached South America, crossed the Atlantic to Africa, continued east to India and Southeast Asia, and arrived in Lae, New Guinea, on June 29. They had flown 22,000 miles and had 7,000 to go. On July 2, the pair took off for Howland Island, almost halfway between Australia and Hawaii. Their intended destination was a strip of land a mile and a quarter long by a half mile wide. “Howland is such a small spot in the Pacific that every aid to locating it must be available,” Earhart wrote to Putnam. As the U.S. Coast Guard monitored Earhart’s flight, her radio communications described a steady approach to the island. Though many have tried to prove what happened in those final minutes of flight, none have succeeded. The U.S. government’s official position on Earhart’s disappearance is that she ran out of fuel while looking for Howland, causing her to crash and sink. Gillespie’s TIGHAR has, since its founding in 1985, carried out various projects of aviation archeology and historic preservation. The nonprofit gets its funding from its hundreds of members, who pay annual fees, as well as sponsors. Gillespie estimates his group has spent $7 million trying to solve the Earhart mystery. Besides the Earhart project, TIGHAR is investigating what happened to a French airplane that went missing in 1927, just two weeks before Charles Lindbergh’s flight from New York to Paris. The inquiry began in Maine and has since moved to Newfoundland. Gillespie’s group is also working to preserve a World War II plane that emerged from the sand on a beach in Wales in 2007. But the Earhart project is TIGHAR’s most storied. The organization bases its investigation on the theory that the supposed last radio communication the Coast Guard received from Earhart wasn’t the last one at all. For several days after Earhart’s disappearance, radio operators around the Pacific and in the United States reported hearing distress calls. Though some were proven to be hoaxes, others were believed to be authentic. Lockheed engineers were certain the plane couldn’t transmit radio signals if it was afloat on water. If these signals came from Earhart’s plane, she had to have been on land; the question was where. These numbers, compass headings, do pass through Howland Island, her intended destination. Gillespie believes that when Earhart was unable to find Howland, she continued along the line she reported, leading her to what is known today as Nikumaroro Island. Nikumaroro is surrounded by a flat reef that is often fully exposed at low tide, an area smooth enough to land an airplane. TIGHAR says the strongest radio transmissions received in the days following Earhart’s disappearance cross near Nikumaroro. The U.S. government’s “crash and sink” conclusion is believed by many experts, including the Smithsonian’s National Air and Space Museum. Nauticos, an ocean-research and technology company based in Cape Porpoise, Maine, is another organization interested in Earhart’s whereabouts. It has performed three deep-sea searches for the Lockheed Electra. Using sonar technology, Nauticos has scanned over 3,000 square miles of seafloor surrounding Howland Island, her intended destination. This is the second-largest area of the deep sea that has ever been mapped, Nauticos president Dave Jourdan said. The largest is the area of the ocean mapped in search of Malaysia Airlines Flight 370, which disappeared in 2014. Though three expeditions utilizing multimillion-dollar equipment failed to turn up any signs of the Electra, Jourdan said they have eliminated immense areas of the ocean as the possible end of the Earhart flight. Jourdan expects the plane to be relatively intact, meaning there wouldn’t be a trail of debris or evidence leading to its final resting place. The cold temperatures and minimal oxygen near the ocean floor, he said, would prevent significant corrosion. Jourdan’s initial interest in the “crash and sink” theory was sparked by pilot Elgen Long, who duplicated Earhart’s approach to Howland Island on his own around-the-world flight in 1971. Long dedicated 35 years to researching this theory and writing the book “Amelia Earhart: The Mystery Solved.” He also interviewed people who came in contact with Earhart, including, in 1973, Chief Radioman Leo Bellarts, who led radio communications aboard the Coast Guard ship that was monitoring Earhart’s final flight. “Bellarts says she was ‘desperate’ in her final calls,” Jourdan said. “He describes her as ‘about in hysterics.’” This leads Jourdan to believe Earhart knew she was both lost and running low on fuel, forcing her to crash-land into the water. The strength of the last radio calls suggests she would have gone down extremely close to the island, he said. 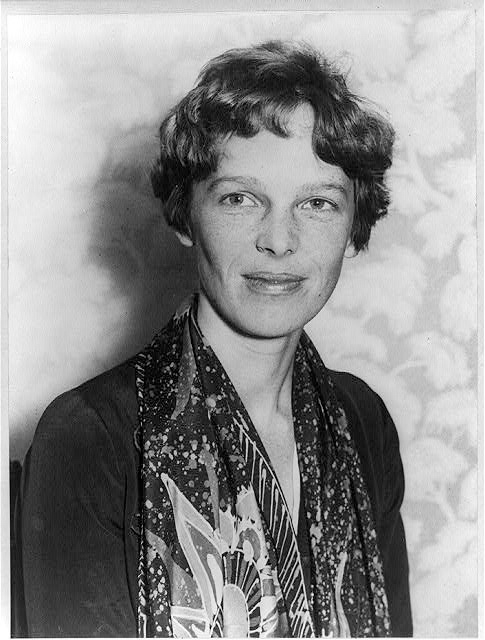 Some Earhart aficionados believe that she and Noonan were captured by the Japanese on the Marshall Islands, where they may have been killed as U.S. spies. Several books have been written on this theory, which was formulated from supposed eyewitness stories told by Marshall Islanders. According to National Geographic, one high school science teacher and Earhart expert found the Marshall Islands accounts convincing enough to spend $50,000 searching for the spot where Earhart might have landed on Mili Atoll. In 1987, in commemoration of the 50th anniversary of Earhart’s disappearance, the Republic of the Marshall Islands issued a set of postage stamps depicting her landing on Mili Atoll. Gillespie thinks the islanders may have misidentified Earhart and Noonan, confusing them with white missionaries who traveled through the Pacific in the years leading up to World War II. Many were brother-sister or husband-wife pairs, Gillespie said, and because it was hot, many women kept their hair short, similar to Earhart. The key photograph in the History Channel documentary was unearthed by former U.S. Treasury agent Les Kinney in the U.S. National Archives. In the documentary, Kinney and former FBI Agent Shawn Henry follow a trail of evidence, including eyewitness Marshallese accounts, plane parts found on the islands, bones found in a supposed grave, government documentation and, most important, the photo. A few days after the documentary was broadcast, Kota Yamano, a Japanese blogger, announced he had found the same photo in a travelogue published in 1935, two years before Earhart’s disappearance. The History Channel promptly removed the documentary from the air. Yamano explained in a blog post that an online search led him to the same photo in the National Diet Library, Japan’s national library. The library then published the photo online, showing a publication date written in traditional Japanese style – “Showa 10” or 1935. The History Channel later said in a statement that investigators were exploring the new evidence and would report their findings. “Ultimately historical accuracy is most important to us and our viewers,” the History Channel posted on Twitter. Annoyed by the incident, TIGHAR sent a petition with 500 signatures to the History Channel requesting an apology, but so far there has not been one. The debunked documentary made headlines the same month as the 80th anniversary of Earhart’s disappearance, sparking interest in the ongoing mystery, said Cochrane of the Air and Space Museum. Though Earhart set many aviation records, she is widely known for being the first woman to fly solo across the Atlantic. For this feat, in 1932, Congress awarded her the first Distinguished Flying Cross to be given to a woman. Cochrane described Earhart as one of the most revered pilots and women of her time, making her an icon of courage and perseverance. Her disappearance is “one of the greatest unsolved mysteries of the 20th century,” Cochrane said. Earhart’s niece, Amy Kleppner, who is believed to be the aviator’s closest living relative, has gone public with her opinion that ongoing efforts to figure out what happened to her aunt are a waste of money. Cochrane said uncovering what happened to Earhart wouldn’t impact her legacy — and it really doesn’t matter. “It wouldn’t change who she was and what she did,” Cochrane said. Gillespie, who has been trying to solve the mystery for more than three decades, disagrees. He was first exposed to accident investigation while working as an aviation insurance agent, but his interest in aviation mysteries began with a magazine article. In 1980, an article titled “The Unfinished Flight of the White Bird” was published in Yankee Magazine, which featured the story of Charles Nungesser and François Coli, two French World War I veterans who took off near Paris on May 8, 1927, attempting to complete the first nonstop transatlantic flight (Lindbergh’s ended in Paris on May 21). The two were never seen again. The magazine article mentioned a Maine native who claimed to have heard a plane crash in the hills on May 9, 1927. After the article had sat in his desk drawer for four years, Gillespie decided to go look for Nungesser and Coli’s plane in the hills of Maine. He reached out to former insurance clients, asking for sponsorship in return for publicity. Around the same time Gillespie met Patricia Thrasher, who would later become his wife and the co-founder, in 1985, of TIGHAR. After performing over 25 expeditions in search of the French aviators’ plane, the White Bird, no conclusive evidence has been found. But Gillespie is confident the plane went down in Newfoundland’s Avalon Peninsula, where TIGHAR’s research has pointed. Gillespie said nothing could convince him to join the Earhart “media circus.” Then, in 1988, two TIGHAR members, Tom Willi and Tom Gannon, both military veterans with aerial navigation experience, presented him with their theory. With maps spread across the table, they proposed that Earhart continued along the line she reported to be following, 157, 337, leading her to Nikumaroro. Gillespie said their findings were consistent with bearings taken by Pan American Airways on radio distress calls heard in the days following Earhart’s disappearance, the strongest of which cross near Nikumaroro. “Wait a minute, you’re telling me, no one has ever looked for Amelia Earhart in the most likely place?” Gillespie said. TIGHAR later discovered Willi and Gannon were wrong about that — someone had looked for Earhart and Noonan on Nikumaroro. Hearing the distress calls and knowing the plane was on land – if it was afloat on water, the radio would have been wet and unable to transmit signals – the U.S. Navy flew over the island a week after her disappearance, exploring the same evidence the two TIGHAR members had come across. If Earhart had been on the island, temperatures as high as 120 degrees Fahrenheit and no fresh water available for a week would have left her too weak to respond. All the Navy noted was “clear signs of recent habitation.” Assuming all of the islands in the area housed coconut harvesting work parties, and finding no plane, they moved on. According to TIGHAR, in a week’s time, the tide would have washed the plane into the ocean. Also, the Navy’s assumption was incorrect: The island hadn’t seen a work party since 1892. When Gillespie first stepped foot on Nikumaroro in 1989, he thought it would also be the last time he would ever see the island. 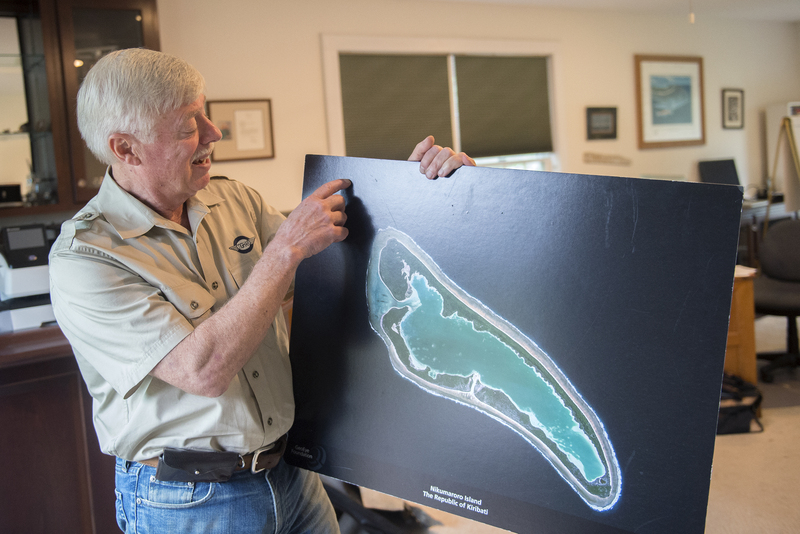 Though Gillespie’s team didn’t find an airplane lurking in the underbrush, they did find airplane pieces scattered throughout an abandoned native village that inhabited the island from 1938 to 1963. When its investigators returned home, TIGHAR chose to dive into a different kind of clue. In 1960, The San Diego Tribune published an article featuring the account of a retired Coast Guardsman who had been stationed on Nikumaroro during World War II. He claimed that natives told him stories of two skeletons they had found on the island — as well as American women’s shoes. In 1998, nearly 10 years after TIGHAR’s first expedition to Nikumaroro, a detailed description of the discovery of the bones written by the island’s administrator, Gerald Gallagher, was found in a British archive, proving the bones were more than just an island myth. TIGHAR went to the site in 2001 with a team of archeologists. They found remains of a campfire with bones of animals whose flesh someone must have eaten. Later, more in-depth excavations were done at the site. Archeologists came across things such as a pieces of plexiglass consistent with Electra cabin windows, flecks of early 20th century makeup, fragments of a 1930s American compact mirror, broken bottles identified as 1930s personal-care products, and parts of a pocketknife of the same type that had been listed in an inventory of one Earhart’s previous flights. In Gallagher’s report, he claimed to have also found a woman’s shoe and a box that would have held a sextant, a nautical navigation device. Though no other bones were found, TIGHAR did find an analysis of the bones performed by a medical doctor in Fiji, where the British took them for evaluation in 1941. Richard Jantz, director emeritus of the Forensic Anthropology Center at the University of Tennessee, Knoxville, took part in an evaluation of the measurements reported by the Fijian doctor. In 1998, Jantz concluded that the reported bone measurements were consistent with those of a white female of Northern European descent. In 2015, he revisited the analysis using modern technology. The updated analysis began with Jeff Glickman, a forensic imaging specialist, who used reference objects and photogrammetry to calculate Earhart’s bone measurements from photos of her. Glickman said because the analysis was done of the ratio of the humerus and radius, bones in the arm, he believes there to be little error. Jantz analyzed the measurements reported by the Fijian doctor, comparing them to Glickman’s approximations and 27,000 other bones in his database. Though Jantz is confident in his analysis, his theory relies on the accuracy of the measurements recorded in 1941. Without the actual bones, no one will ever know if the reported measurements were correct. During TIGHAR’s most recent expedition in June, trained forensic dogs provided by National Geographic confirmed there had indeed been human remains at the site Gallagher reported in 1940. Though this doesn’t validate the measurements, it does prove the bones existed. A separate piece of evidence came from a British expedition to Nikumaroro just three months after Earhart’s disappearance. The expedition intended to assess the land for settlement. Officer Eric Bevington gave Gillespie photos he had taken of the island in October 1937. In 2010, Glickman assessed the photos, noticing a man-made object sticking out of the water near the Norwich City shipwreck — “the right size and shape to be the wreckage of one of the main landing gears of a Lockheed Electra,” Gillespie recounted of his conversation with Glickman. Gillespie then sought the help of Kurt Campbell, former assistant secretary of state for East Asian and Pacific Affairs, an Earhart fan. Campbell’s photo analysts agreed with Glickman’s conclusion – the object in the photo was consistent with Lockheed Installation 40650, one of the main landing gears on Earhart’s plane. Hillary Clinton, U.S. secretary of state at the time, invited Gillespie and other TIGHAR members to an event on March 20, 2012, at the United States Department of State in Washington, D.C., where she announced that TIGHAR would be performing a deep-sea search for Earhart’s Electra off the reef of Nikumaroro later that year. TIGHAR returned from the expedition with nothing more than the elimination of another area of possibility. Gillespie said that as long as the public continues to support TIGHAR’s efforts, it will continue its search for the truth behind this 80-year mystery. The American public has been captivated by other mysteries, but none seems to have the staying power of Earhart’s. New York Supreme Court Justice Judge Joseph Force Crater vanished in 1930, and Teamsters union leader Jimmy Hoffa did so in 1975. Questions remain about the 1963 assassination of President John F. Kennedy. Matthew McAllister, chair of media studies graduate programs at Penn State University, said these cases can hold the public’s attention for years if the person involved has a high profile and there is a lack of closure. As Gillespie sees it, the public’s support is the driving force behind TIGHAR’s work, and the enthusiasm surrounding the search only seems to be growing. TIGHAR is considering another expedition to Nikumaroro in summer 2019, looking for physical evidence – “the smoking gun” – to prove its theory. “I never would’ve dreamed it would go on for this long,” Gillespie said. I’ll continue to support your efforts until Amelia is found. Ric’s book, ‘Finding Amelia’, is a terrific piece of research. Do you believe the 1930’s US Government or US Navy press departments? Ric Gillespie has compiled solid evidence that points strongly to the sad ‘castaway’ conclusion. I’ve ever made a donation and got a T shirt, about time I make another one, I suppose. My mother graduated high school in 36′, she saw Amilia on soe school trip when she was in San Francisco once. She says all the girls back then really envied her and looked up to her bravery.